Stealth wealth allows people to mask their riches. So we talked to a millionaire who practices it to ask him one question: Why? Stealth wealth is the practice of keeping your true wealth hidden from others — even friends and family members. And though the name might bring to mind mystery, espionage, and images of the Monopoly man dressed as a ninja, the practice is anything but that. The rich techie who wears hoodies instead of suits and forgoes a Ford Mustang for a Ford Fiesta. The millionaire CEO who’d rather drink a cheap beer with her friends while watching a football game than Dom Perignon at a polo match. The college student who commiserates with his buddy’s complaints about student loans — while secretly owning a trust fund himself. So if you want to know exactly why someone practices stealth wealth, you’re going to have to ask directly. That’s hard, though, because by definition those who practice stealth wealth aren’t in the business of telling anyone about it. But this is IWT — and we’re in the business of finding Top Performers and finding out what makes them tick. That’s why we found a Top Performer who practices stealth wealth and got their insights on exactly why they do it (on the condition of anonymity, of course). I’d like to introduce you to Dr. Erikson (not his real name). Dr. Erikson is a millionaire — and he made his money through a combination of smart investing as well as a lucrative career as a medical professional. He’s wealthy…but instead of driving a flashy sports car he drives a minivan. On the outside, it seems like he lives a typical Midwestern lifestyle: Wife and two kids (both of whom attend public school), four-bedroom house as well as two cars that are both about a decade old…despite the fact that his net worth has recently topped $3 million. Why does he do this — especially when considering he has enough money to live a high-end lifestyle without having to worry about paying bills or providing for his family? He/She is rich so they must be snobby. You have to be cutthroat in order to be wealthy. That person has a trust fund so they must be spoiled. …without even realizing it? That’s because there are invisible scripts — the assumptions that are so deeply embedded in our society that we don’t even realize they guide our attitudes and behaviors — surrounding wealth. And even if you got wealthy unexpectedly (like lottery winners or people who inherited money), you’re still faced with the same societal pressures. People in a place of wealth have the opportunity to leverage these scripts, though. By being aware of them they can mask their finances accordingly through stealth wealth like Dr. Erikson does. For Dr. Erikson, he doesn’t really care if you do want to flash your wealth — though he doesn’t think that necessarily means you’re any better off for it. It’s not like our doctor lives a miserly life, tucking his money away under his mattress and picking up every penny he finds. He has the flexibility to spend time with his family. They frequently travel and enrich their lives with new experiences. He’s doing exactly what he wants because he’s not tied down to anything. Answer: HE’S LIVING A RICH LIFE. Because he’s a Top Performer and he worked hard to get his finances in order, he’s now living the life he wants to. He doesn’t have the fancy cars, the huge homes, and the caviar with every meal because that’s not what a Rich Life means to him. If that’s what it means to you, great! We have systems to get you there. But for this millionaire, all he needs is his time to spend with his family and financial stability. How do I get started with stealth wealth? “It’s best not to live a flashy lifestyle in the first place. If you haven’t started displaying the trappings of your wealth, great! Keep doing what you’re doing, and upgrade slowly and prudently. If you’re living the high life and want to hop off that rollercoaster, you may need a fresh start. When you change jobs, and especially when you move to a new location, it’s pretty easy to reinvent yourself. Decide why you want to live a more stealth wealth lifestyle — define some financial goals — and start living like your neighborhood accountant, school teacher, middle manager, or stealthy physician. Drive a Chevy or a Honda. Buy or rent in a place that’s nice but not ostentatious. Belly up for a burger and a beer. And the best part of stealth wealth? You’re not committing yourself to a damn thing. If you see a nice pair of shoes you really want, you can buy them. Maybe those first-class airline tickets to Paris are calling your name. What if you want to buy an honest-to-god helicopter and have enough money? Go for it! What do you think about stealth wealth? Dr. Erikson’s case isn’t entirely unique. In fact, you might know a few people practicing stealth wealth in your own lives and just don’t even know it. Or perhaps, you do stealth wealth yourself. In either case, leave a comment below. What do you think of stealth wealth? Is it a little bit too deceptive for your liking? Would you feel betrayed if you found out someone in your life was secretly rich? If you do practice it, why? Do you ever find yourself wanting to go back to a flashier, wealth-forward lifestyle? It's funny. Stealth wealth wasn't a concept I was really familiar with until a few years ago when I started reading forums and blog posts on the subject and realized I was reading about me. For most, the stealth wealth lifestyle is not an intentional deception, but a way of life that comes naturally when one values some relative frugality and has never gotten much of a rise out of luxury. I like this Dr. Erikson fellow (I see what you did there — clever!). He's got an interesting take on money and living off-script, not to mention he sure is one handsome devil. I kept thinking… "I know this story!" 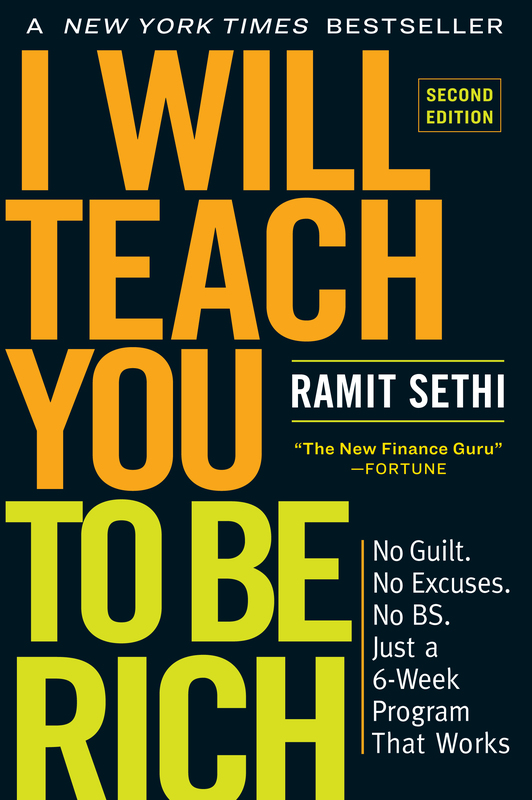 Ramit, thank you for the excellent post. A great book 'The Millionaire Next Door' provides a detailed analysis of this topic. I'm sure you're aware of the book, but it bears mentioning for those unfamiliar with the quiet wealth accumulators. I practice Stealth Wealth, although I’ve never given it a name. I drive a Chevy Cruze, live in a very modest home, and avoid expensive clothing and flashy jewelry. I don’t care about “stuff” much. And practicing Stealth Wealth is one reason I HAVE financial security. Most friends and family members know I’m secure — although I think they’d be surprised at my net worth — and they know I retired at age 54. I just don’t have a reason to talk about my money with others. I offer advice if asked but learned long ago most folks would rather gripe about their financial situations than actually take steps to make things better! That's fascinating (and slightly alarming)! If you had any advice for people who DO want to make changes, what would it be? Yes would you mind explaining what type of changes one should make? I’d love to retire at your age. I’m pretty frugal already but would love more tips. We’ve got a net worth approaching 5 million. We have a condo in San Francisco so there is that but we drive a 7 year old Mini and I ride my bike to work. People know I’m an investor and I help people in that way but I don’t think anyone really knows. We like to go on a couple of overseas vacations a year, and we also throw a lot of parties. For me, having money isn’t about stuff. It’s about having options and freedom. The ability to take risks. The ability to not care what anyone else thinks about me. The freedom to work or not as I please. Love that "For me, having money isn’t about stuff. It’s about having options and freedom. The ability to take risks. The ability to not care what anyone else thinks about me. The freedom to work or not as I please." YES! Well said PF – its about freedom of choice. Comments are mostly humble brags. Its a thin line between stealth wealth and scrooge mcduck. I don't have a problem with the bragging. These are people who've achieved a freedom few of us do through a combination of hard work and prudent financial management. I'd be proud of that too. The thing is, you can't tell who has wealth and who doesn't based on their lifestyle. This may have been easier in prior generations, but times have changed. CEOs can wear hoodies and people on welfare may own designer handbags. The guy with the Rolex ordering $15 cocktails could have 6 figures in debt and few assets. The guy with the truck in dirty overalls could have a million dollar business. In my experience many if not most millionaires fly under the radar. This is especially true outside of large cities where many fewer people (regardless of wealth) have or need things like luxury cars and designer clothing. Land and labor are cheap so a big house doesn't mean as much either. I'm a private banker and have originated loans for hundreds of people in the last few years. I see all their financial details, and I can confirm that plenty of wealthy people don't look it. And plenty of the people who drive up on luxury cars, dress well and have high paying jobs (doctor, lawyer, etc) barely have a positive net worth and aren't saving much. Nice post, very interesting, thank you, but glen is right: <a href="http://stockmarkets.science">http://stockmarkets.science</a> has great stuff about how to invest in stocks too… but your style is definitely better! Thank you for this article and the different perspective it provides. What do you think of stealth wealth? I think it's a great practice! It can help with lessening societal pressure and keeping moochers off your back. Is it a little bit too deceptive for your liking? If an individual is using it for scam purposes (pretending to be dirt poor or homeless) than yes, it can be deceptive. Would you feel betrayed if you found out someone in your life was secretly rich? With the recent fires in Northern Cal our McMansion with the view burned down. We lost everything but now have a strong inflectionpoint in our lives to decide what to do next. Right now we are living in a 2 br 1 ba apartment with a mainly immigrant population. We are having to do stealth wealth to fit in which includes not ordering a bunch of stuff on Amazon and having it delivered to our home. The hubcap on my Toyota Camry fell off the other day. Now the car looks a bit ragged which has increased my stealth wealth ratio by 10x. Great feature! It certainly takes a particular personality, lifestyle, and mindset to make it happen. Kudos! I've always been taught not to flaunt my ANYTHING, especially money. Primarily, that can be attributed my parents' worry that someone would try to take it away if they knew it was there! But, the stigmas and assumptions about people who can afford to pay outright for college or a home have also kept me quiet. It seems like a matter of safety. As long as you're living a quality life, regardless of how much it costs, keeping mum has always seemed smart to me. I like keeping things to myself. I love my work so why I should tell everyone what am I doing and why. The second reason is that I want to be financially free. Getting famous as a wealthy person gives you a responsibility to help others. While it is a good thing to be in a helpful position, I cannot take the responsibility to help out friends and family members whenever they want or need it. Afterall, I am doing this hard work to achieve freedom. I do not want the money to create more hurdles or boundaries for me. I recently finished reading, "millionaire next door". I was wondering why the author insists on living a frugal life. Now after reading this article and pondering upon the reasons, I can understand why rich people prefer to live a simple life. Interesting that you showcased this article. Your classes are actually filled with people practicing stealth wealth over the majority. You require that participants be without credit card debt before joining your classes. Do they realize, right away, that they are actually at the start of becoming part of those with stealth wealth? I've never really heard it called "stealth wealth" before, but it's a nice way to describe it. This is exactly how my wife and I choose to live, not because we reject societal norms, but because neither of us wants to work until we're 70 and then die immediately after. We're not doctors, but we save a pretty significant amount annually between the two of us, and we'd like to have the freedom and option to hang it all up while our daughter is still young. Spending all of that extra income on stuff like a gigantic maintenance burden of a house, thousand dollar gadgets that have no value in 3 years, and elite statuses that don't really mean anything doesn't help cater to that goal at all, nor does any of it increase long-term happiness by any significant factor. So why do it? I never understood that why people get so caught up with things they don't even use. I agree with you on working till I'm 70 an dying right afterwords. I don't think it's supposed to be a given that people are supposed to value "things." And the more money you get the more expensive and flashy those things you're supposed to get. These things can't do anything for me when I'm on my death bed. I have no interest in wearing jewelry no matter how much money I get. I wouldn't consider that stealth wealth unless I was consciously not wearing jewelry to hide my worth. I value having love and happiness in my life. Which I rarely get from material goods. The expectations (real or imagined) that come along with flaunting wealth are so significant that it makes "Stealth Wealth" a no brainer for me. I can pick up my Honda from the valet and tip a reasonable $2-3, rather than the $5+ I would feel pressured to tip if I drove a luxury brand. I can have a sympathetic conversation with friends and/or family about money woes, without them feeling a deep resentment towards me. I can buy drinks for a friend at a bar and they feel genuine appreciation for the gesture, rather than an expectation that I "should" do it. So your NUMBER ONE reason to hide your wealth is to be able to tip a few dollars less? Generosity is a form of living a rich life, even if you do it on the DL. No of course not and that's not what Colin's written. It's the cumulative expectations and resentment from people around you. Another reason for practicing this approach to your wealth is for your kids. I want my kids to have a very good work ethic. I want them to roll up their sleeves and work at whatever they want. I don't want them to wait and assume that I will hand down any estate I build. I want them to have a "normal" childhood and not be pressured into thinking they have to hang out with other kids who flaunt their parents wealth. I also want them to understand how to build wealth on their own. If it's handed to them, they won't appreciate it. As I always say, "you value what you had to work the hardest for." There are two big status indicators in this town. The first is the speed with which a person can get information. The second is being in a strong trim body. Those are the two things that matter, and the first two things anyone would fix as soon as they could afford it, around here where I live, I'm noticing. So we spend on electronics and the personal trainer. Nobody dresses up or shows off flashy stuff. Homes here are hell of expensive even though they are small. There cannot be poor people here, but you are expected to look poor. It's stealth wealth as a community value. I'm fine with it. My parents were the same way. Then once a year they would throw a big bash. They also enjoyed first class travel, educating their kids, employing help at home, and retiring early. I've inherited their values. I sometimes wish some of these multimillionaires would let go of 20 bucks and get their 10 year old car washed. Instead of driving it around dirty to try to look poor. Really it can get to be a bit much. Wash your car. love it! One huge upside is that you really find out who your true friends are when you practice stealth wealth, and you also are able to retain more genuine friendships. When I go out, I'm conscious of money (I was dead broke once so I can't help but continue to live frugally in some ways), and I get made fun of ALL THE TIME for not wanting to pay for parking or not wanting to pay a cover to get into a venue. But I'm sure that I have kept some very genuine relationships with people from all income brackets because I'm more willing to go to more "down to earth" places and have a different attitude towards money than some of my well-heeled counterparts. If I acted more "highbrow" there would not be the same level of "we can all relate to each other" and certain conversations would not take place because they would likely assume I could not relate (which I can! I was broke before!). On the flip side, there are certain friends who mean well, but who often assume that none of my clothes are name brand, all my jewelry is fake, and that they should withhold that highbrow event invitation because they assume (1) I wouldn't be interested/ fit in. That can be hurtful, but there is a cost to fighting the perception. The way I look at it, at some point you have to choose whether you want to be LA-wealthy (flaunt your money) which has a high stress level associated with it in that you always have to keep up this "image" or you can be Bay Area-wealthy (don't flaunt your money) which has much less stress associated – you can dress up when you want, but dress down and no one will raise an eyebrow. My "adopted" dad (a family friend who I consider to be my dad) practiced stealth wealth. He had inherited a LOT of money when his father died. I never knew, and couldn't really have guessed. He drove a beat up van that didn't have a working radio, lived in a small ranch house, and wore ridiculous flannel shirts – summer or winter – funeral or birthday. It's definitely the way I'd like to live if I ever have kids. It made him a lot more approachable and lovable. It wasn't until just before he passed away that I found out any thing about his family history. I can see why he made the choice to not flaunt the wealth. It'd caused chaos in his family, and my family actually had a bit of money back in the day. But, they flaunted it, which ruined the family a bit. My adopted dad saw that living a humble lifestyle, in general terms, meant living a happier one, with people that actually like you for you. It's one of the many incredible and graceful things about him that will always leave me with fond memories of him. There's a level of respect that is warranted for someone who has the money, but has the strength and intelligence to not go nuts spending it on every single luxury they can afford. And to be clear, he wasn't cheap, he just understood he didn't need to buy every little thing that sparkled to present his status to the world. He'd rather be an active part of a community with real friends and piece of mind knowing he could just be in an average happy neighborhood than in some gated community somewhere away from 'the masses'. In the end, money isn't really power, it's a tool, and it can work against you, if used unwisely. I’ve never heard of the term “stealth wealth”, but apparently it’s what I practice even I’m not a millionaire yet, though working on it. We have a very beautiful rich life with a pretty good income per year, but we chose to spend money on particular things. 1. Traveling (4 out of country vacations per year). 2. My husband loves sport exotic cars and it’s just one thing he spends money on. 3. Housekeeping, 4. Healthy organic food. The rest doesn’t really matter to us. Very few close friends know our lifestyle and we never post anything on social media. I always felt awkward to post on Facebook or Instagram about my rich life, because a lot of people out there are struggling with money, or being angry and negative even with money, and it can easily turn some “friends” into envious persons. The world is much more peaceful and enjoyable when nobody looks up at you. I'm currently practicing stealth poverty. Boston is full of people who practice a version of this. We call it "poor-mouthing" and believe me, it can go to far. "Oh, I got this at the thrift store … Oh, my mom found this table at the transfer station — can you believe it?" Give me a break. Even when these individual claims are true, they don't distract from the overall picture of wealth which is clearly shining through. Yes, your performative coupon clipping is impressive, but I know how much that apartment costs. Please be consistent with the facade or at least don't protest so much. We live in a middle class neighborhood; our house looks fairly plain from the outside, but inside … it has some cool features — sunken living room, spectacular view, a library with secret door(S) in bookcases, secret rooms, a loft with a view over rolling hills and a cemetery, etc. Again, you'd never guess its inner trappings from the outside. The one area where I have decided to splurge a little is in my car … I have a 2017 Lexus; my wife has a 2016 Toyota Rav4. I'm young, not wealthy by any means, but I'm not living paycheck to paycheck either. My SO has wanderlust, and about $5k in CC debt (we each only pull in about $500-$600/week). We always split everything pretty evenly, so I hide the existence of my savings so that we both can use the same excuse of "I can't really afford to take this trip". I intend to keep this up until her debt is paid off and she has some savings. It's a great idea to avoid the siren song of consumerism in a society that's constantly imploring us to buy more stuff. I feel like a huge part of the "Rich Life" is learning to stop spending money on things that won't make your life any happier. But not all the "stealth wealth" motivations are worth celebrating. An earlier comment referred to how some of these testimonials sound a bit like "humblebragging", and I agree. So you drive a Corolla instead of a Range Rover…that's cool, but don't break your arm patting yourself on the back. If you think that makes you some kind of great person, you're just as bad as the guy with the bright-yellow Lamborghini — except that he's probably having more fun. Some people also practice "stealth wealth" because of paranoia or stinginess. They're worried a charity might hit them up, or a friend in need might ask for a favor, or someone selling them stuff in a poor country is going to charge them a little extra. Instead of using a little bit of their wealth to help other people out and spread some joy, they're obsessed with keeping as much of their coin as possible. In the real world, this is the kind of behavior that makes wealthy people unhappy and makes other people despise them. How do you think that college kid's friends are going to feel if they find out he's been bullshitting them this whole time? Discretion is important, but putting on a phony "poor persona" can leave you isolated and alone. If your motivation for "stealth wealth" is about fiscal responsibility and maximizing your freedom to really focus on what matters to you, it's fantastic and extremely wise. But if you're doing it for the brownie points or the public perception, that's pretty fake and lame. Like Jarvis Cocker said, "Everybody hates a tourist…"
I try to practice this as much as possible. It can be challenging in a relationship where the other person's spending expectations are higher. If it was just me I'd be living on about 1/3 of my income. You definitely find that your spending matches your lifestyle unless you take conscious control of it. For example if you buy a house in a high end neighborhood you may find yourself needing to have a four car garage (and the high end cars to match) and a gardener and housekeeper and country club membership, etc., etc. What that means is even if it isn't something you personally value, the social pressure to conform might due you in. That is why the doctor's model works better. The cool thing is if you live under your means then you have more flexibility to spend once in a while on the cool experiences whereas if you were already maxed out you find you're spending on stuff you really don't care about and don't get to spend on the things you do care about. Basically living a Poor Life instead of a Rich Life. I am also living a "stealth wealth" life in India since last two years. The best part is if you feel like working – work else do not work. Hi! I was planning to save money to buy this diamond ring, so I can impress people that I am someone. Then I came across the lyric of Krs-One "Me I got no jewels on my neck, why – I don't need 'em I got your respect" hmm, He is right I don't have anything, so I have to have things. I got a part-time job, and I actually got seriously working on my project, then I don't need that ring anymore. I feel good enough to see myself made a progress that I never had before. so now I can see what Dr.Erikson talking about. I will not get mad if my friends were secretly rich, I respect them more to be wise. I'm from a rural blue collar area. Most of the wealthy people I know are farmers, loggers, or owners of a blue collar business. These people tend to be stealth wealth types to begin with. I've had meetings where half the people were in work boots and coveralls. Usually they start off small and then expand their enterprise into other areas: commercial land, buying other businesses, etc. These types have a confidence that is hard to describe because they don't need anything from you, I'm self made. My husband and I are lower middle class and we have to practice stealth wealth. We’re not millionaires, but my side of the family has dirt-poor-to-humble beginnings, making our small net worth ($20,000) hard to mention. If we get a raise, we’re so excited and want to call up my side to share the excitement. Instead we are met with hard replies, bitterness, jealousy. We have worked hard and cut expenses to gain what money we have, but family tends to think we had our money fed to us on a silver spoon because my husband’s family is not poor. This is not true — he works extremely hard, which is where our money comes from, but they don’t want to admit this. Stealth wealth isn’t just for millionaires! It can save relationships when broke-minded friends and family aren’t ready to hear about or see your blessings. I have many clients who practice stealth wealth, some of whom do it for safety reasons. For example, a few of my South American clients are completely afraid to show their wealth in their native countries for fear of being kidnapped and held for ransom, so they drive average cars and live modestly, but then they come to South Florida and New York and binge on lavish spending outside of their native social circles. If I ever hit the numbers this doctor is making, I think about living a life like that. my in-laws would think that i'm showing off and passive-aggressively quote a bible verse. A good reason to practice stealth wealth is, there's a revolution coming and they'll end up further toward the back of the line to the guillotine. I practice stealth wealth because I'm too lazy to spend my money. Replacing my car sounds like a chore! I drove a 2001 Accord from the time I bought it in 2004 until late 2015 when I had to sell it to move overseas. I suppose we'd have spent a ton of money if we'd replaced it once or twice during those eleven years. As it is, we're in great shape to buy one in cash when we get back to the US. Given a choice, I'd rather practice stealth wealth than stealth poverty (living beyond my means to keep up with neighbors). I guess it's deceptive, but as long as you're not hurting others, like sticking them with the bill when you go out to dinner or engaging in other freeloading activities, it doesn't bother me too much. I thought this post was going to be about passive income based on the “stealth wealth moniker”. Honestly, I think the emphasis on “stealth” is a little overdone. If you’re concerned that people will treat you differently if they think you’re rich and you don’t want that, then by all means please do whatever makes you feel comfortable. But doing everything just because of what other people might think is a recipe for misery. Just because you have money isn’t a license to just spend on everything. I think it all comes down to conscious spending regardless of your income or wealth level. For example, for me having my (yet to be conceived) kids attend private school like I did is a must. But my family lived in a modest house on the outskirts of town and drove Hondas so that it could be possible to attend private school. If my parents had chosen not to send me to private school because they were concerned about the image it gave off, there’s a good chance I would not have gotten where I am today. I don’t think you need to apologize or hide your wealth, but think consciously about where you want to apply it and be unapologetic about it. You can’t take it with you when you die, so regardless of whether you hide your wealth and spend frugally or you spend more openly but within your means, it’s about consciously optimizing your outcomes based on what you have to deliver max happiness and minimum stress. But if you let what others think of you hold you back from doing what will really make you happy, then you are absolutely not optimizing your outcomes. Had not heard of the term Stealth Wealth until recently but knew of the concept for a long time. Long ago, I had two boyfriends that came from this type of family. and I learned quickly from the experience. I'm not quite to millionaire status but getting there with a net worth about $150K shy, but my family and friends think I live paycheck to paycheck. Actually, in a way, I suppose I do. I budget every penny each paycheck and save for all future expenses. Course that is after paying myself first in my work retirement account. I live by my budget so if my going out money is gone then I have no money till next paycheck. My only give away is my beloved BMW car. Purchased it new, fully loaded how I wanted it but put down half and it was paid off within3 years. I keep my cars for 12-14 years and as much as I tried to love a Honda it just does not drive like my sporty BMW so it was worth it for me. The low monthly payment is still being made but now being invested for the next car I purchase in 10+ years.